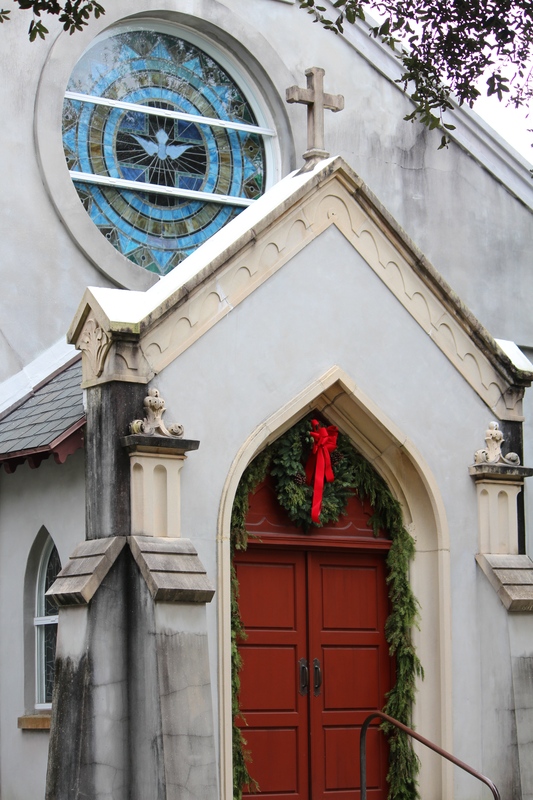 Coasting: Parting shots — St. Augustine | Oh, the Places We See . . .
As we prepared to say good-bye to St. Augustine, a town of many surprises, we remembered the sites that have become must-see’s for tourists: Castillo de San Marcos, Flagler College, the Oldest Wood Schoolhouse in America, etc. But we found ourselves leaning more and more toward an appreciation of the ordinary as much the tourist-book notables. Ordinary is relative, we suppose. But we mean ordinary in the sense that simple things can tell you about a place as much as its celebrated landmarks. It’s what you see when you drive down a side street where people live, garden, and decorate for holidays. The ordinary doorways, windows, and fretwork that have become worn by time. The out-of-the-way things you share with each other as a way of enjoying “the find” as much as the check-off list. So here are some of our parting shots. Some are ordinary. But all hold special meaning. Maybe just because of where we were in our journey to “do” St. Augustine. Sometimes the back of a place can be as interesting as the museum inside. At the Gonzalez-Alvarez House (the Oldest House in America), the walkway behind the house was adorned with statues representing the seasons. Further to the right of the walkway, a little house of aging stone held artifacts of a simpler time. And in the garden, peaceful statues stand among the vines. 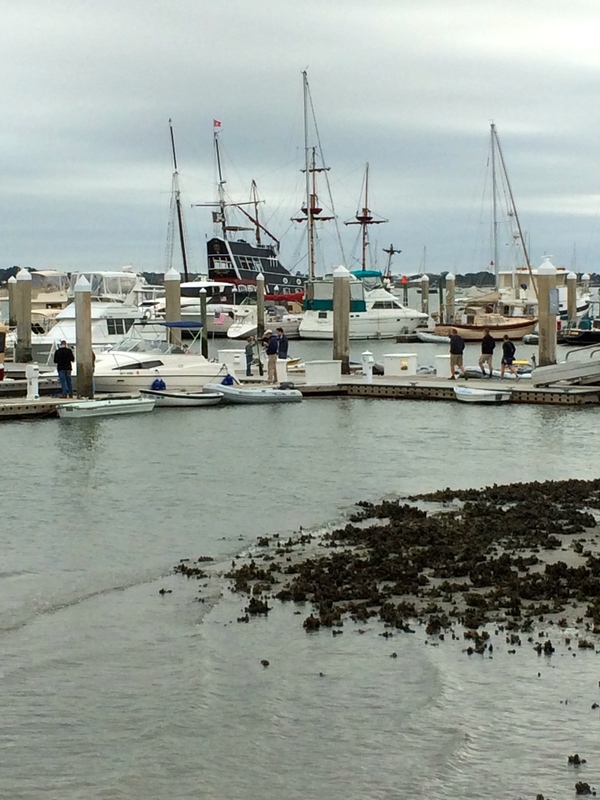 Harbor walks offer another side of life as there are usually boats and/or people coming and going. Here’s a shot taken from the sidewalk that runs along the harbor leading to Castillo de San Marcos. 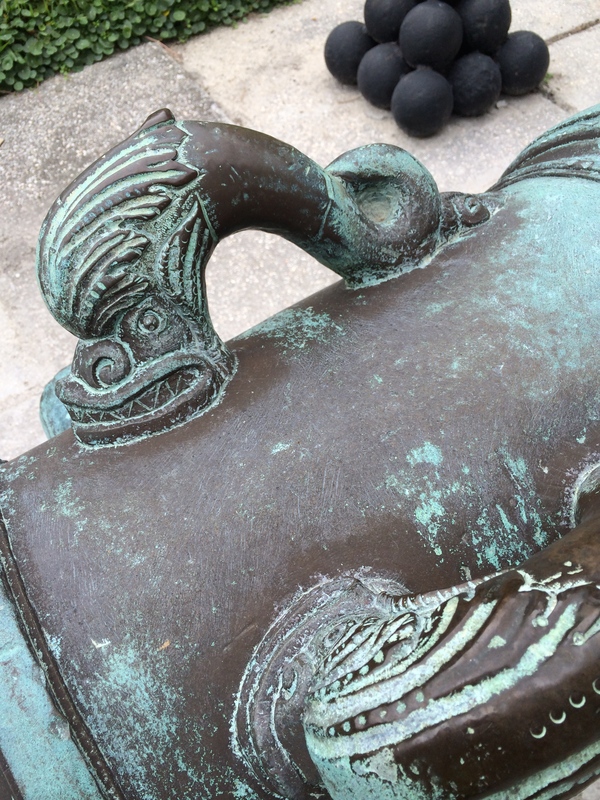 And at the Castillo, we marveled at the detail on the aging bronze cannons as much as we stood in awe of the size and strategic position of the fort as a whole. 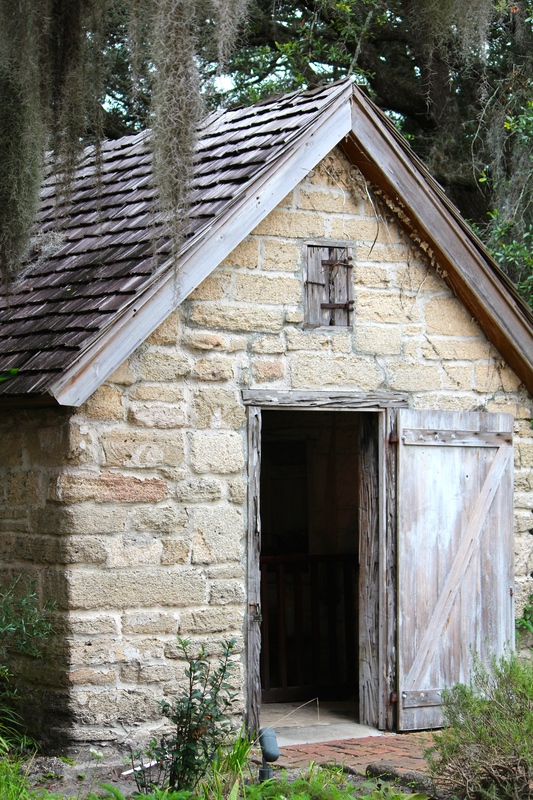 Some buildings typified the old St. Augustine as no others could. 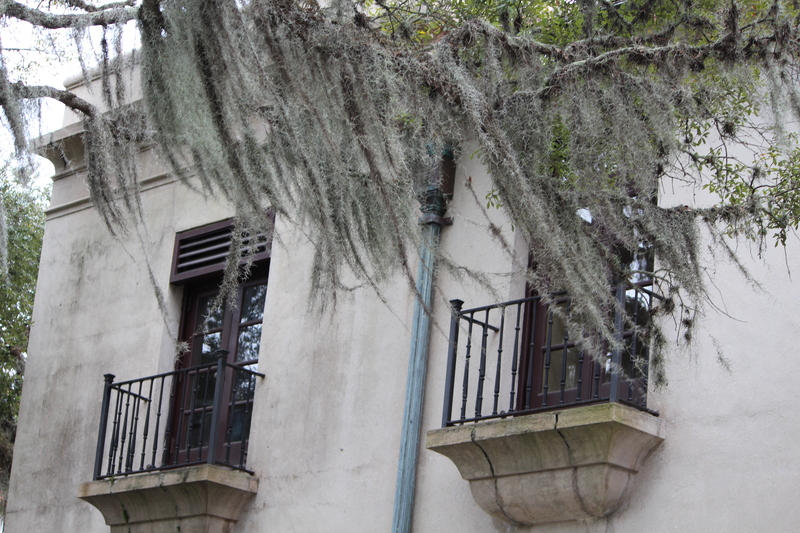 It wasn’t just one feature — the grillwork, the Spanish moss, the discolored walls. But rather it was the whole of it that spoke to us. St. Augustine came to represent what we think of in terms of a city with history, but also a city of beauty and a city of fun. It may have just what you’re looking for, but it also may surprise you by showing you what you never knew was there. At least that’s how it was for us. For more posts in our Coasting series, click here. This entry was posted in Coasting, Florida, Travel and tagged Castillo de San Marcos, doorways, Florida, Gonzalez-Alvarez House, St. Augustine. Bookmark the permalink. 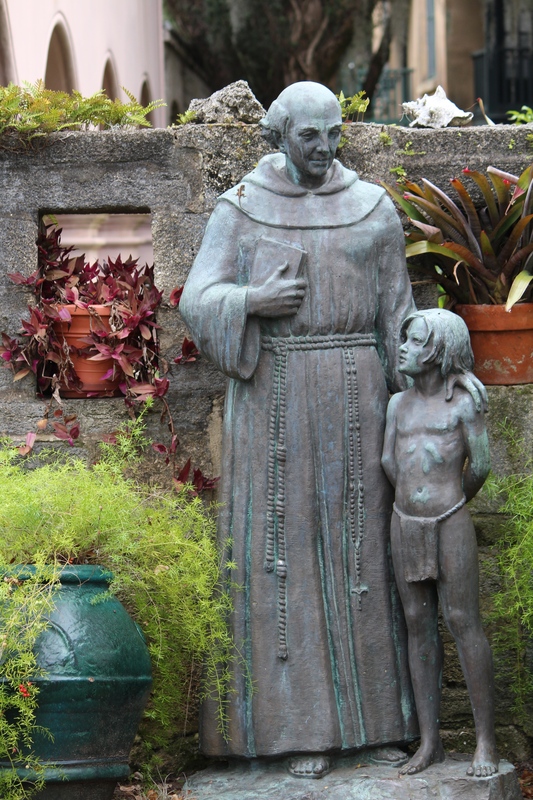 I haven’t been to St. Augustine, as my friend Madge would say, “since Rome burned!” These pics make me want to go back. Thanks so much. Let’s keep each other posted on what’s happening in Knoxville and other places. Can’t do it all, but fun trying!!! Great photo essay. 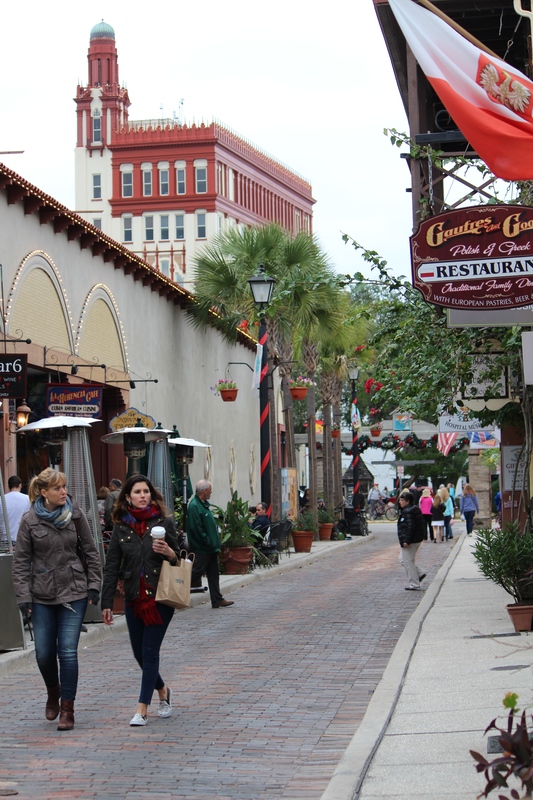 People have told me before that St. Augustine was cool and worth the trip. Your photos conveyed that quite well. Thanks for commenting and for the compliment. Beauty is everywhere — from the well-known to the ordinary. Would love to return with more spare time! Gates like those always are enticing. 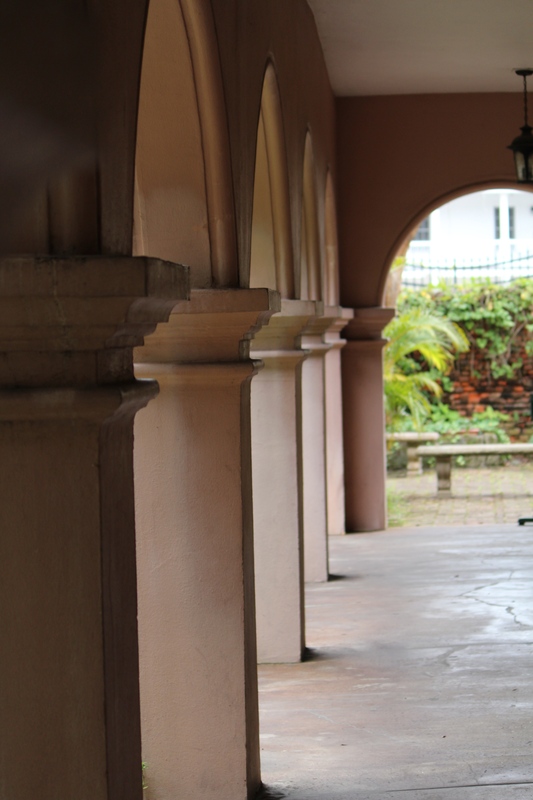 In New Orleans and Charleston, we’ve often tip-toed to look over the gates and peer into the courtyards beyond! Lovely. Hope you get back to St. Augustine. I’m pretty sure there’s even more to see that what we shared. What a fabulous variety of photos you have captured in this town! You are so right that often what seems ordinary, on closer look is quite extraordinary. 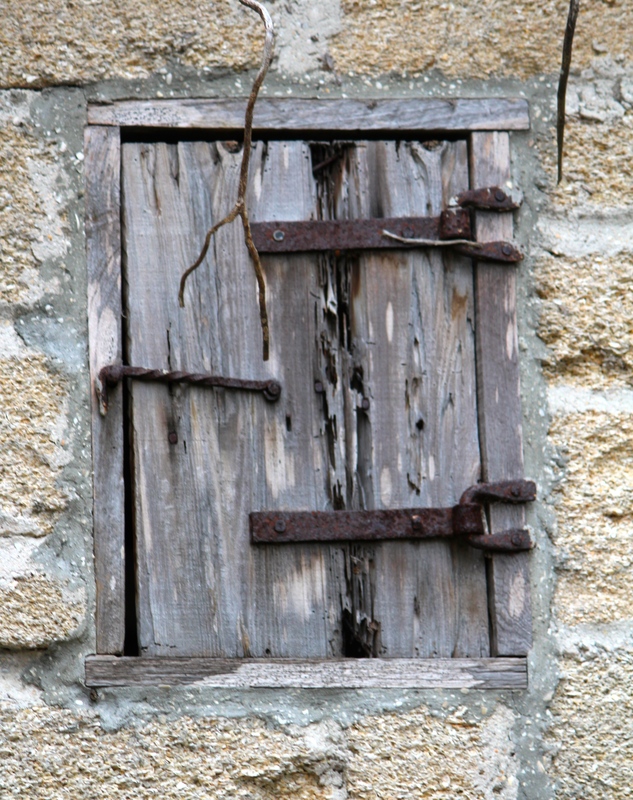 My favorite photos is the old wooden window. Imagine everything the shutters have held in and when opened how much they have exposed. Sue, you’ve selected one of our favorite shots, too. We love architecture — frequently look up to see windows, fretwork, cupolas, etc. Travel involves seeing the “biggies” on the tourist map, but also the “smalls” of the real world! Thanks for your comment. Thanks so much, Cindy. The town is beautiful but so are the little byways and residential areas. Hope your Valentine’s Day was lovely, too. You bet! We love seeing how people live and the little details that make a place special. Thanks for agreeing with us! Happy Valentine’s! I loved the old stone houses photos.